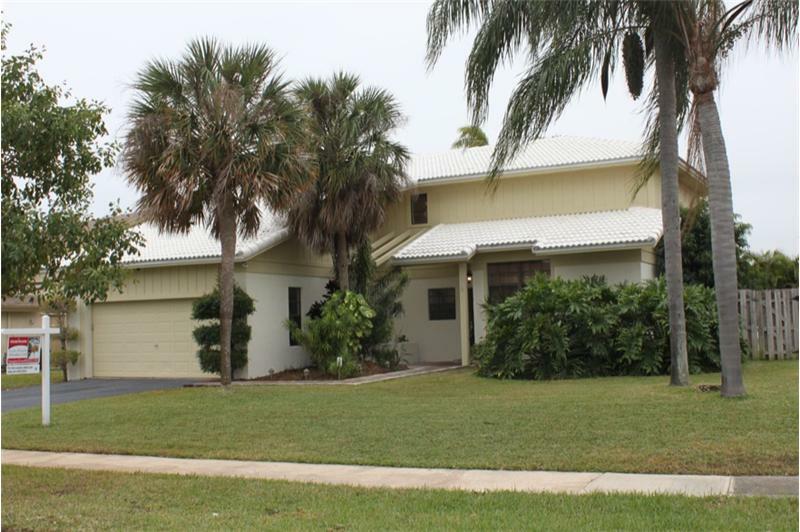 This property at 1201 NW 95th Avenue , Plantation, FL33322 has listed by Lynn Pineda but has not been updated for quite some time. Please contact the listing agent and broker for up to date information. Just freshly painted in neutral beige tones inside & out. Prior tenant who made Jacaranda Lakes home extremely difficult to show has since moved out & the pool home is now sparkling clean. Upgraded granite kitchen with Stainless Steel appliances & center island is great for cooking & entertaining as it opens onto family room. Home also has living & dining rm. Head upstairs to all bedrms with the master bath upgraded with tile. Huge walk in closet in Master ste too. Fenced in yard. New roof in 2008. Dimens are approx.